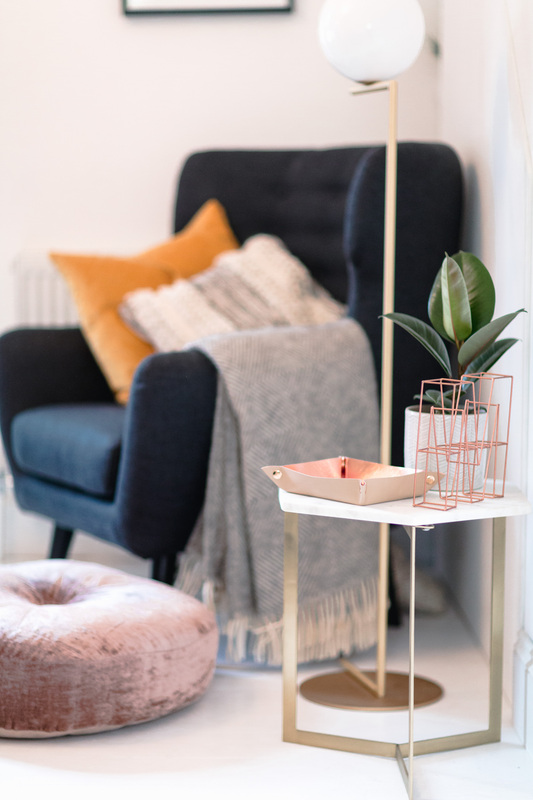 Despite just having planning permission granted for our up coming development plans (a lot more to come on that soon), i’m still in the nesting phase if you will, making our new place a home and one huge part of that process is furnishing. 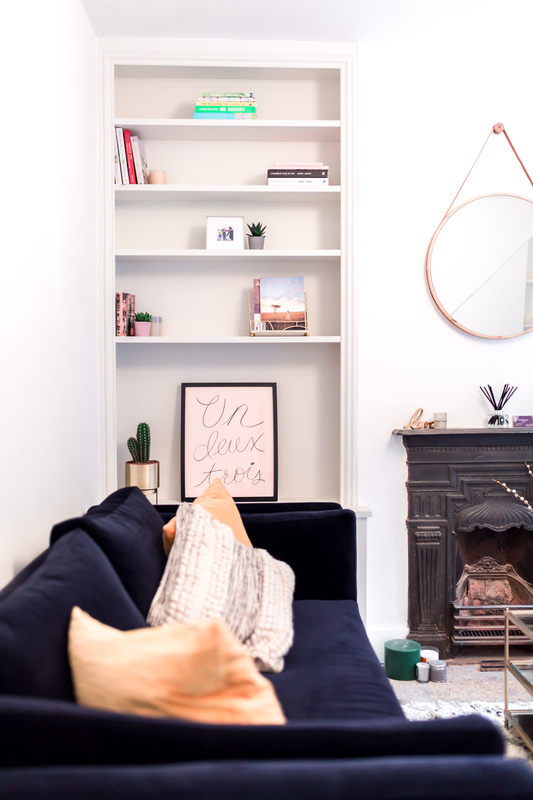 We started with the big (2.5 weeks of DIY to be real) internal clean out and re-decorating to give our place a fresh feel and make it our own. After moving a door and re-building a masonry wall (by no means easy) we applied a fresh lick of white paint to all the walls and ceilings, new skirting boards and sanded and painted our wooden floor boards. I love the scandi cleanliness combined with the historic and period features of our Victorian property. 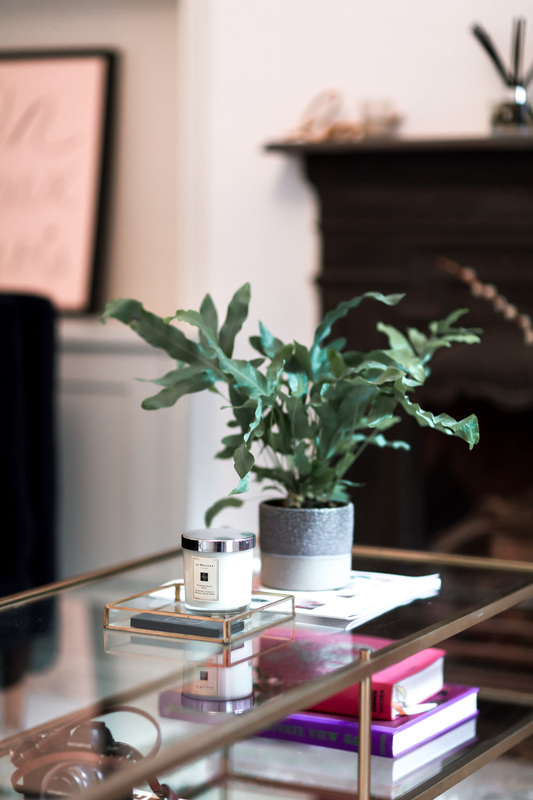 The fresh paint in itself utterly transformed our lounge and bedroom but it was the additional decor and furnishing which really pulled everything together and made it our own. When we moved into our new place we got rid of a lot of old furniture as pre renovations our place is smaller than what we rented (we’ve downsized in order to buy our own place), but we also had a lot of furniture we’d bought to furnish our rented place which didn’t necessarily work together perfectly nor were our dream pieces, so we wanted to take the opportunity to make some updates & be a bit more choice-full. 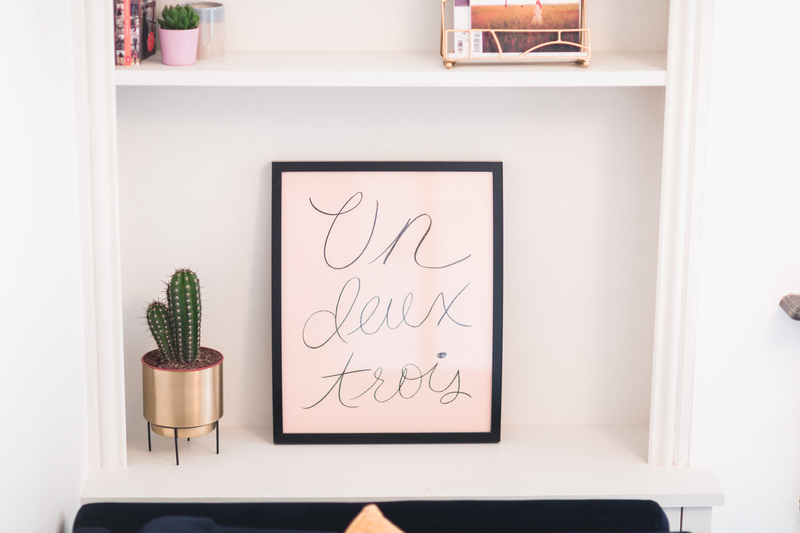 We kept a few of our favourites or relatively new buys and moved those into our new place, and made a point of really styling the interiors with the pieces we love and those that bought to life our interior style ambitions – replacing some old IKEA favourites with more designer and investment pieces. And most importantly agreeing on the materials, colours and textures that we’d use … velvet, brass and a mixture of woods (i don’t like everything to matchy). 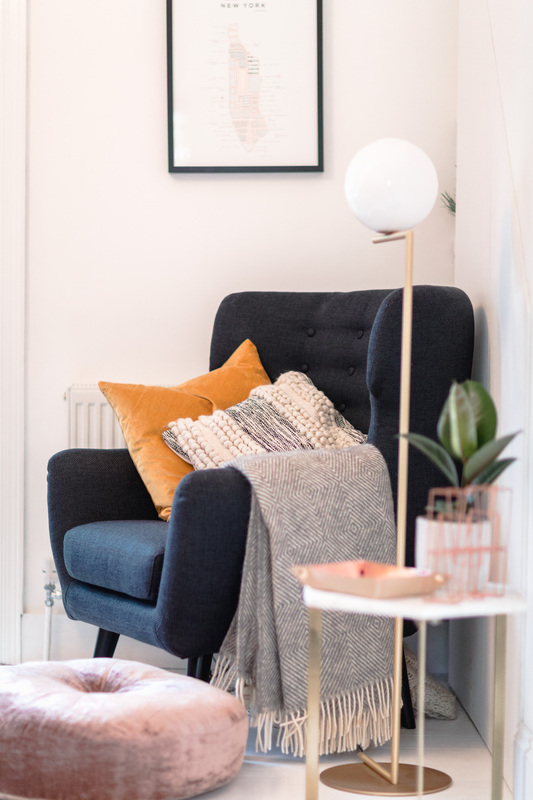 Of course the styling will all evolve in time, as the lounge becomes a second bedroom and our lounge furniture is moved into the modern / new part of our house which will be far more spacious and look out into the garden … but that’s still a good few months away. 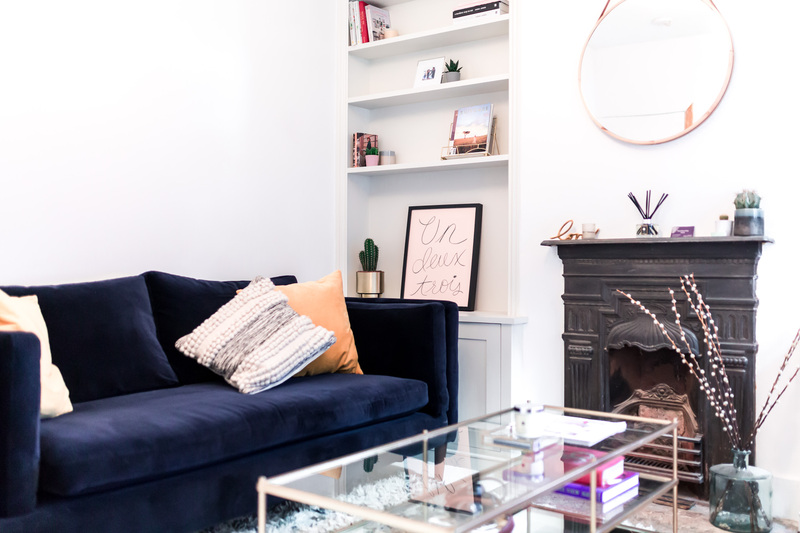 So for now, I thought I’d share our cosy lounge as it is, our interiors style with our new and beloved furnishings, and pull out some of the key pieces we’ve invested in to really create the space we have. 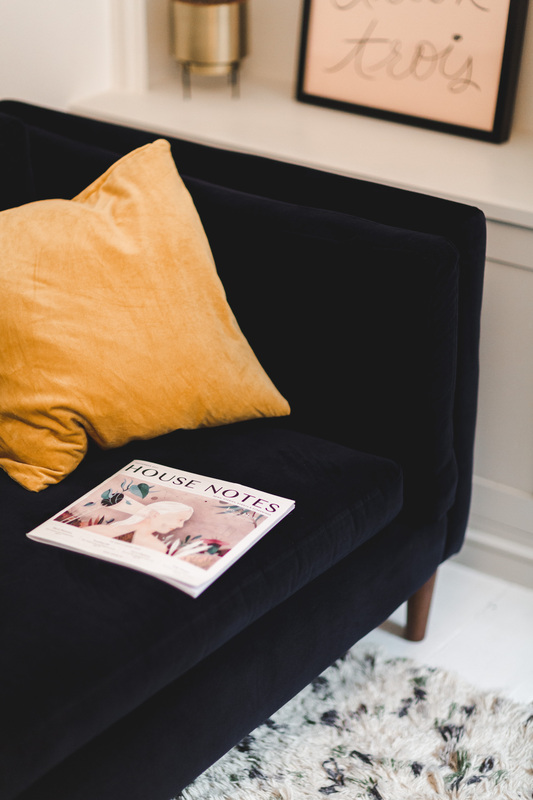 I’ve been longing for a velvet sofa for a very long time, in fact most my home interiors board on pinterest was compiled of navy, dusty pink or gorgeous emerald green velvet interiors. 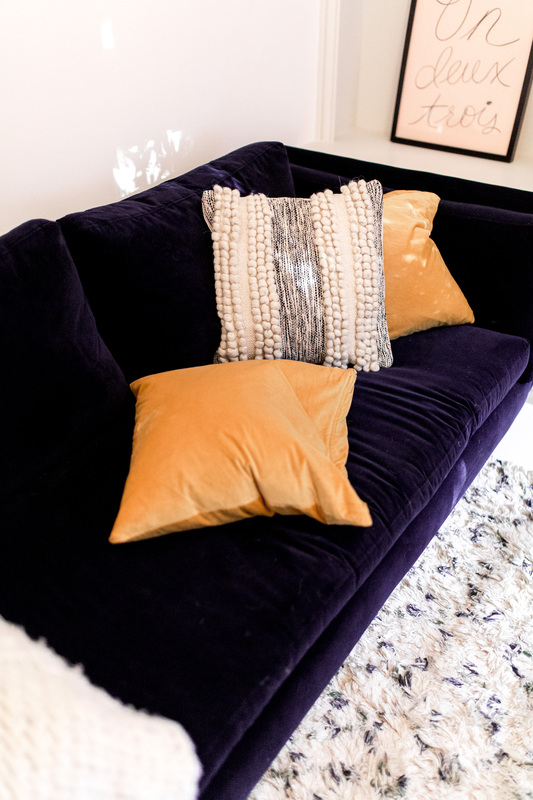 We actually had some very high quality sofas which we were given when we moved in, but in time we decided we wanted to buy our own and more specifically invest in some opulent velvet ones. We searched high and low and for a relatively long time but last Christmas we found a stunning navy velvet sofa in the window of Sofa Workshop and with some serious deals on at that time of year we decided to invest in two medium sofas (they’re actually very big) – this one from Made is quite a bit cheaper and very similar. Unfortunately until we renovate only one fits in our new place (thanks dad for looking after the other one for us), but the sofa is a real statement and the rich texture and colour goes perfectly with the white wooden floors & period features. We’ve also kept our Kubrick armchair from Made which sits in the corner of the lounge in it’s only little snug space. 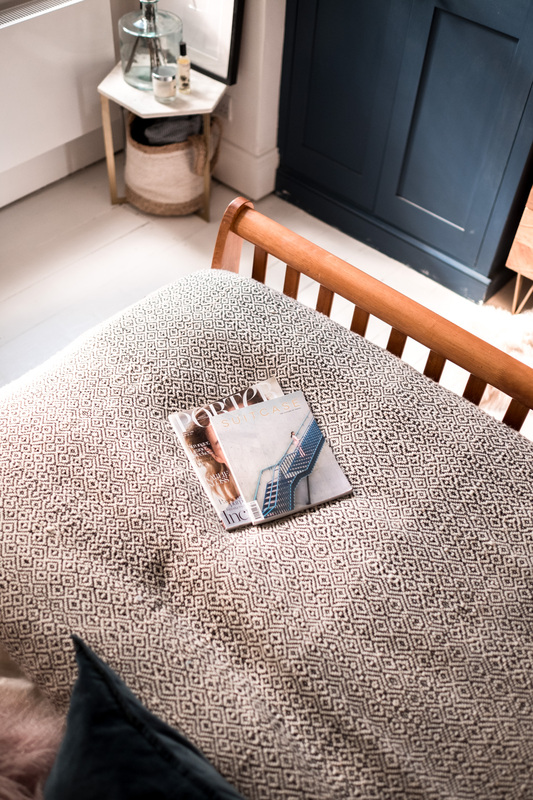 I don’t know about you but West Elm has become one of my absolute favourite home wear stores and most my shop pages is packed with gorgeous mid century items I want in my home. I’ve been planning a hallway renovation and already thinking about our extension and have found some beautiful pieces I’ve currently got on the wish list from West Elm that will really make the space. 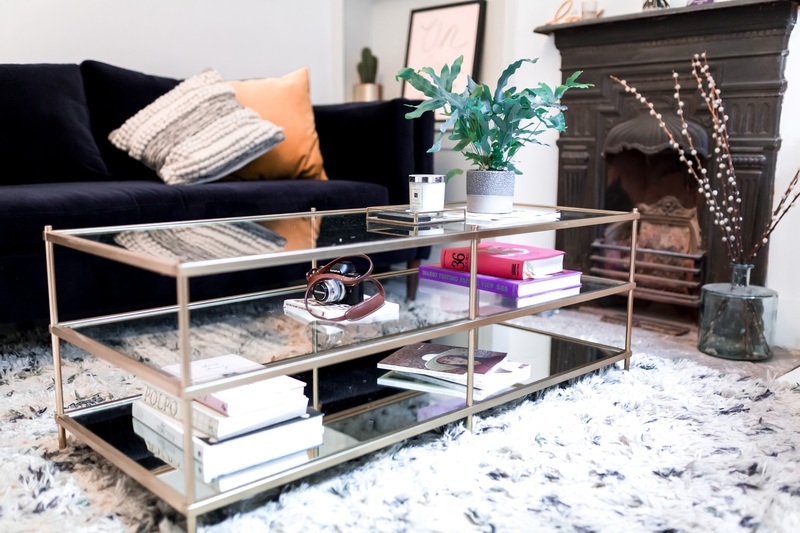 When it comes to our lounge, we wanted a statement coffee table that would really compliment and work with our velvet sofa. 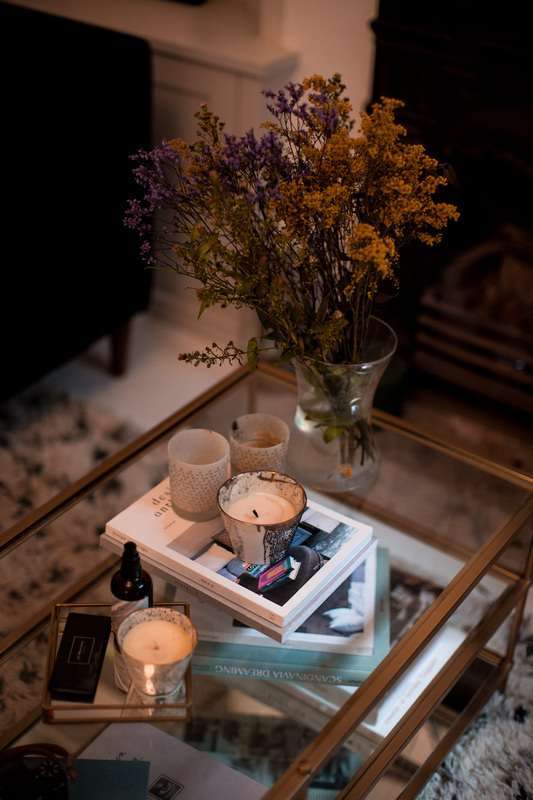 We decided to marry velvet and brass as our materials for the lounge, and so West Elms Terrace Coffee table was the perfect marriage. Good news as I’d wanted it for absolutely ages. It’s such an elegant and statement piece of furniture, combined with our sofa it really sets the tone of our interior style & formalises our living area. 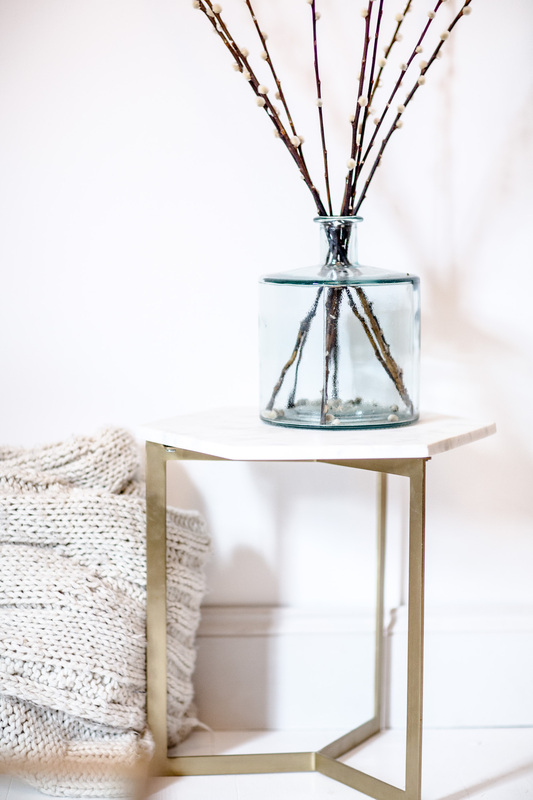 Whilst our coffee table is a really great size, I wanted a smaller side table to sit with our Made Kubrick armchair in the corner of our room and couldn’t deny myself the West Elm Hex side table to do the job (i’m hoping to upgrade our armchair to this one in time). We opted for the white marble one which sits perfectly in our lounge with our Flos light & NYC print. 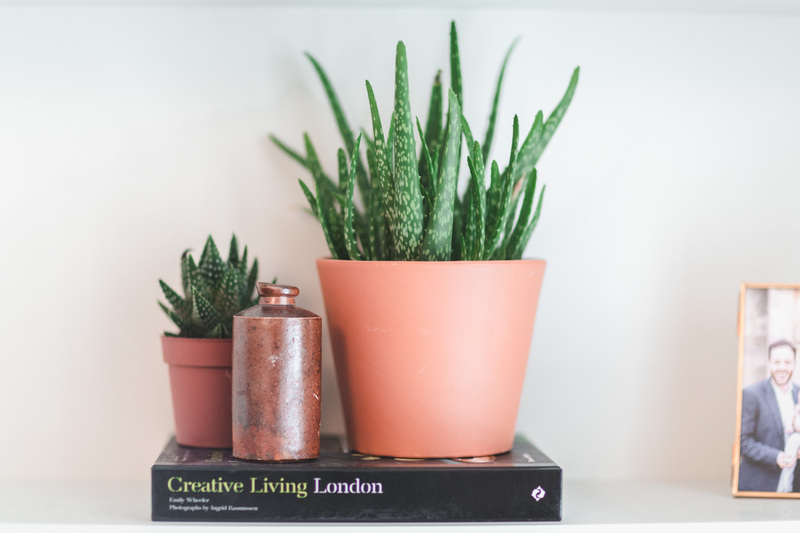 Accessories make any space, and i’ve taken our accessorising quite seriously, investing in lots of new plants & pots, framing and putting up prints, and being sure to showcase my favourite and most impressive books, trinkets, candles and other loved items. 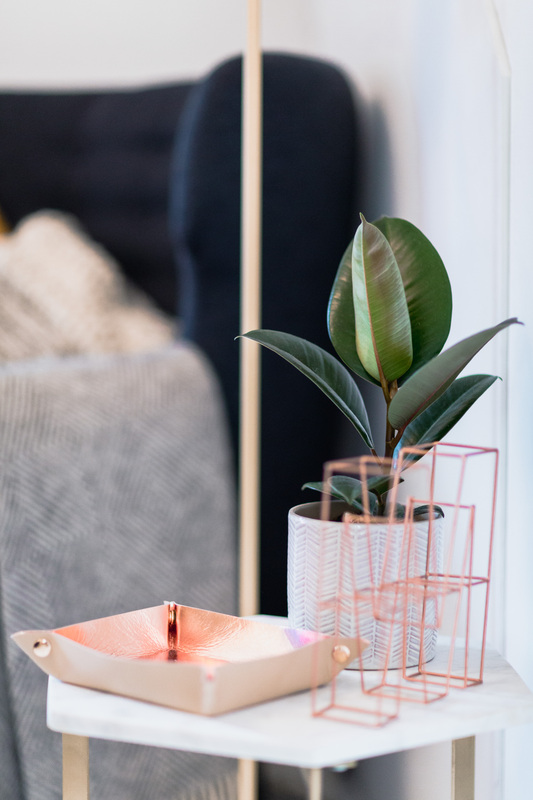 I’m going to do a whole other post on these little trinkets soon, but there are a couple of more investment items which really add to our space which I wanted to share today. 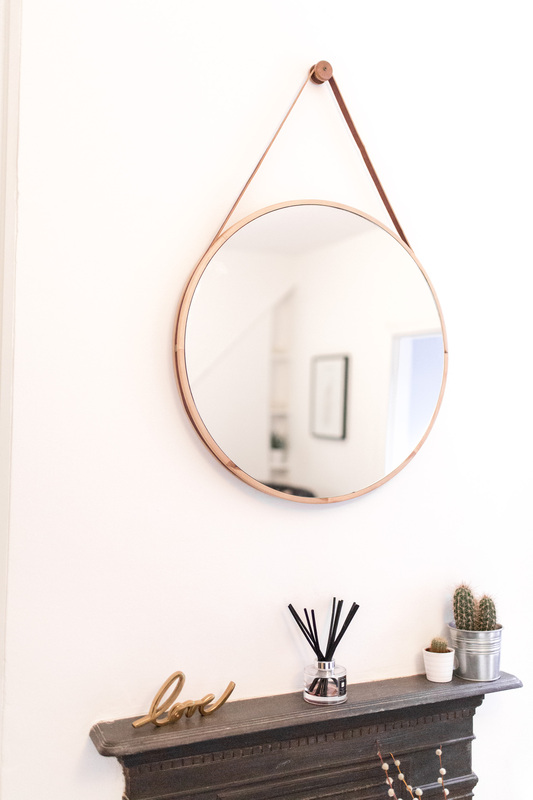 Firstly our West Elm Mirror which takes pride of place above our original period fireplace in the lounge, really framing the centre of the room. And secondly our Flos light which was one of Jase’s most wanted items (alongside the Vitre Eames bird which we’ve not yet succumbed to). 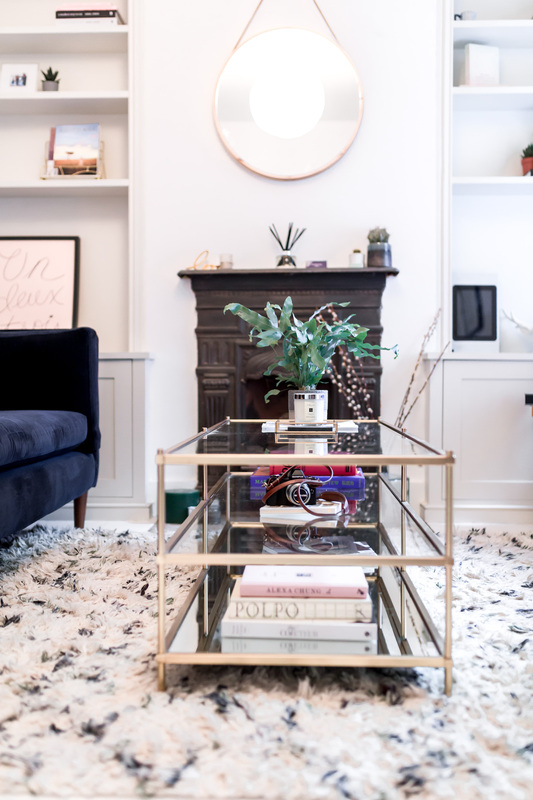 Finally we spent a long time longing for the infamous Souk Wool rug, and managed to find a beautiful version in John Lewis during the Spring sales which now takes pride of place in our lounge and along with the sofa & coffee table really frames the living space. 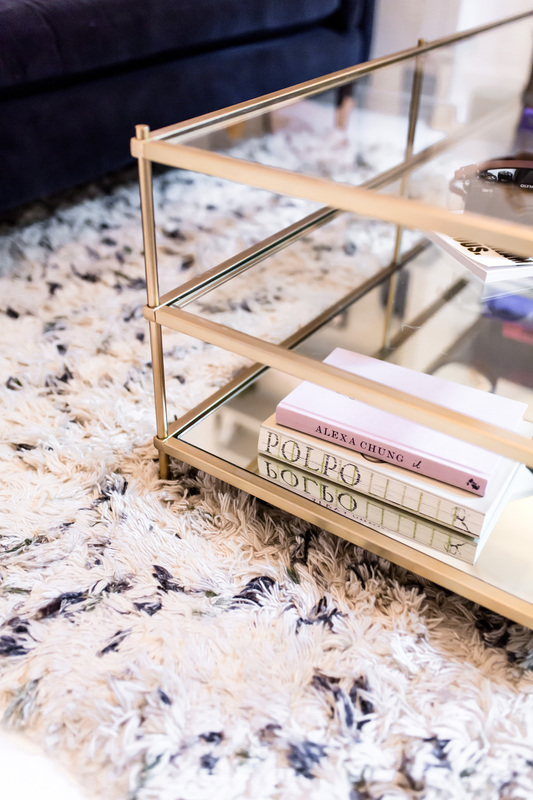 I have to admit there were some amazing looking rugs out there especially from places similar to Bazaar velvet however we really wanted something that was close to Souk Wool Rug so I was glad we got it. 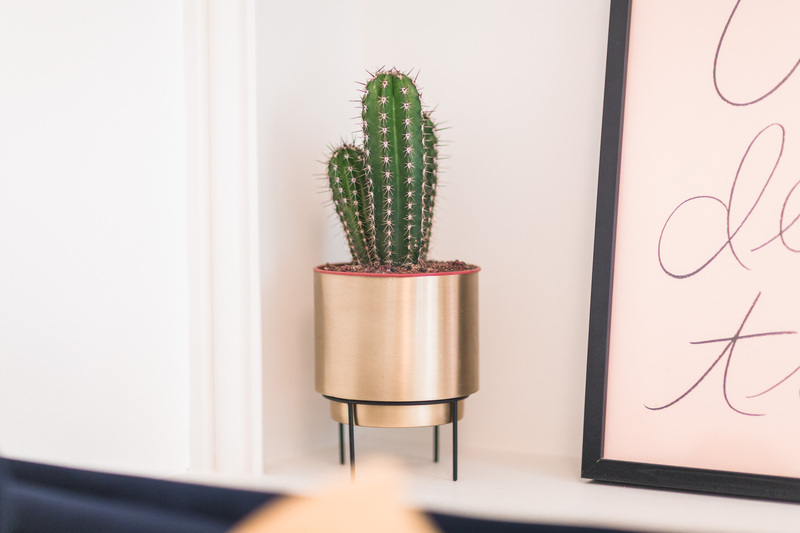 Are you enjoying my new interiors section? What do you think of our styling choices? You have such a great eye for design! I love it! Your house looks so cute! I love the decor. 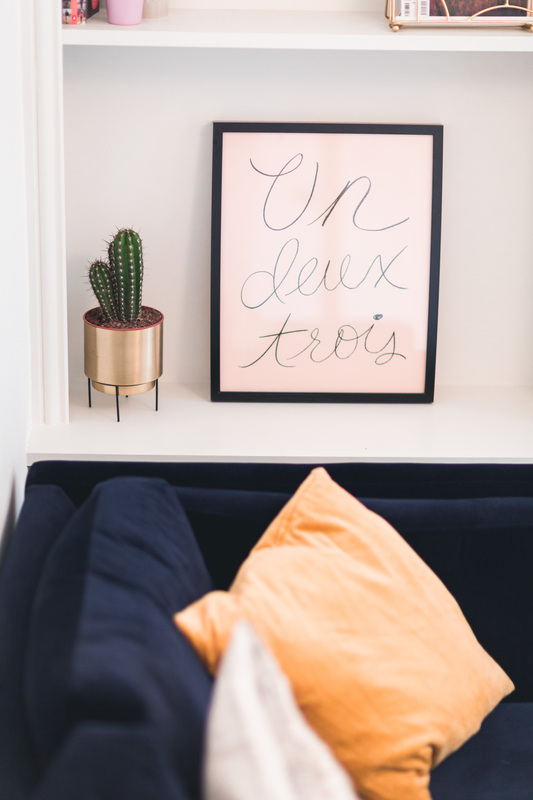 Keep these interior posts coming because I am so obsessed with your house! Love how you have styled it and love how it looks! oh how perfect does your lounge look? i need a new sofa or new sofa cover for my couch as i once thought a off white one would be dreamy but it gets dirty in no time and its awful. That blue velvet sofa is so beautiful. I really love the way you have organized everything in your lounge so properly. Thanks for sharing such wonderful ideas and keep writing. Hi, we’re looking at the same sofa as this – what colour is it on Sofaworkshop? Is it simply Navy?